The business loans that give you peace of mind. Protecting your business can bring with it a hefty lump sum insurance premium. Yet you can’t afford to leave your valuable equipment or premises unprotected due to cashflow issues. So these types of business loans are a hassle-free way of paying insurance premiums for businesses of all sizes, all at competitive rates. Business loans can be arranged from $10,000 to $1million (including Professional Indemnity and/or Workers Compensation premiums). Fidelity Finance Group can also show you how to spread those large sums over a 6 – 12 month period of affordable, tax deductible payments. Let a Fidelity Finance Group business loan specialist present you with the most suitable business finance solution. 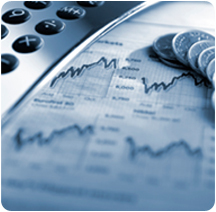 If at any time you are not satisfied with our business finance solution, simply walk with no cost or obligation. We’ll flex our $350 million muscles for your business. By leveraging of our massive buying power with $350 million in loans written annually, we can secure a guaranteed lowest rate from a choice of over 20 of the country’s leading business finance providers. For business loans of up to $75,000, all you need to provide is a business card and three references. in 95% of cases you get automatic approval for amounts up to $250,000. Prompt response, the whole process should only take fewer than 2 working days. The only security held is a charge over the insurance policies themselves. We can arrange 'pre-approved' amounts for future business loan requirements. One-on-one, personalised service all the way. Complete an insurance premium business finance application now, without obligation, click here. Or phone +61 (2) 9212 0799 to talk with one of our small business loans experts.